Why isn’t the unclaimed funds site a secured site? The Office of the State Comptroller is committed to protecting your privacy when you access our website and the online services we offer. Websites operated by the Office of the State Comptroller have reasonable security measures in place to protect against the loss, misuse, and alteration of data and information under our control. Interactive applications may use encoding, secure certificates or other measures to protect this information. For further information concerning security of any application on our website, please contact us. THE UNCLAIMED SITE IS VERY HARD TO GET ANY INFORMATION. My name comes up and they ask you to remember an address from almost 40 years ago. OK…I remembered the address then they ask you to provide proof that you lived at that address 40 years ago. Yeah…where did you put that electric bill hun from 1981…? We apologize for the trouble you are having with the unclaimed funds site, but unfortunately, the NYSLRS Social Media Team cannot help you with unclaimed funds. 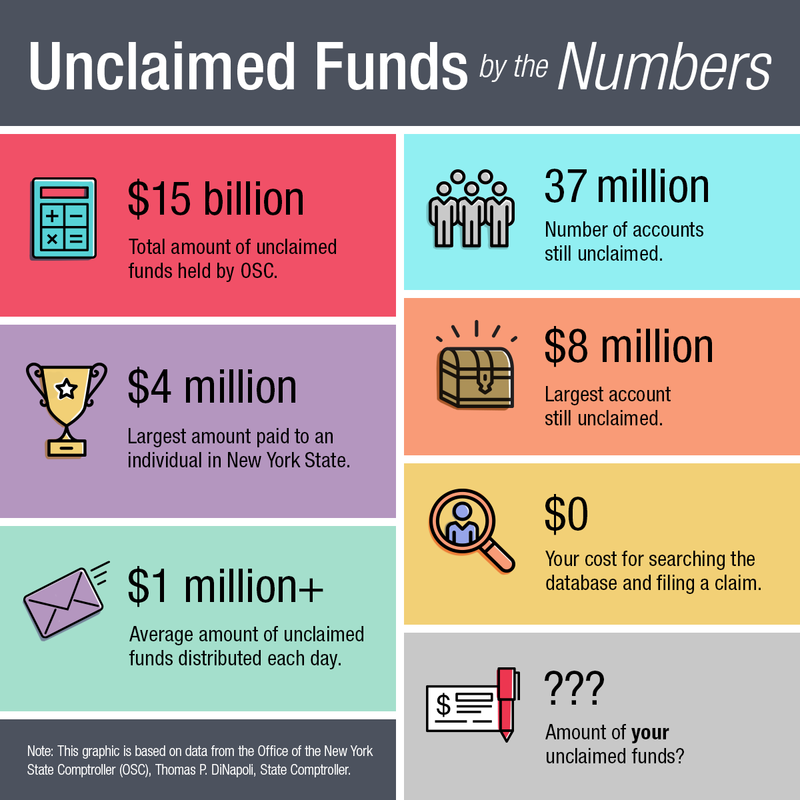 You can contact the Office of Unclaimed Funds by email at nysouf@osc.ny.gov or by phone at 1-800-221-9311. I forgot to cash a bank check ten years ago. Would that be classified as unclaimed funds? You can use the search tool on the Unclaimed Funds site to see if there are any funds listed under your name.